Could it be I’m “Finally Falling” for Mayer Hawthorne? Not that I didn’t buy into his nostalgic soul, I did. But like any great CSI agent, I needed more evidence—How Do You Do, his major-label debut, is that key piece of evidence. Bred in Michigan, home of Hitsville U.S.A., a.k.a. 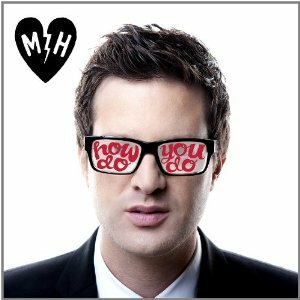 Motown, Mayer Hawthorne has a knack for retro soul that’s highly convincing. After this year’s covers EP, Impressions, where the singer, songwriter, producer and DJ tackled classic pieces by The Isley Brothers (“Work to Do”) and a little-known, but lovely track called “You’ve Got The Makings of a Lover” by 60’s quartet The Festivals, it’s safe to say Hawthorne has the pop formula down to a T this time. How Do You Do is available at record stores and on iTunes now.